The Koenig Eisen line at King Metals offers clients not only a wide variety of forgings in historical designs, but also a choice of finishes, such as hand-hammering or tooling. 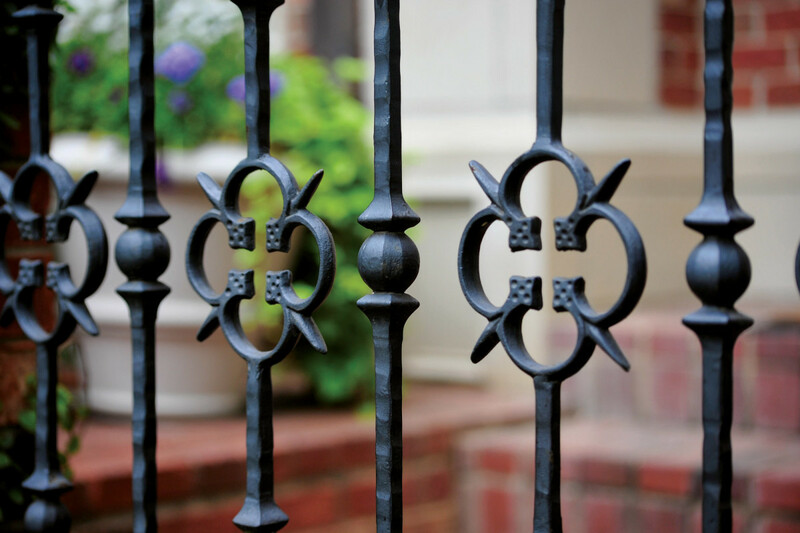 Cast ornament, common for fences and railings by 1850 by virtue of its seemingly limitless powers of mass production, is even more available today from dedicated suppliers. 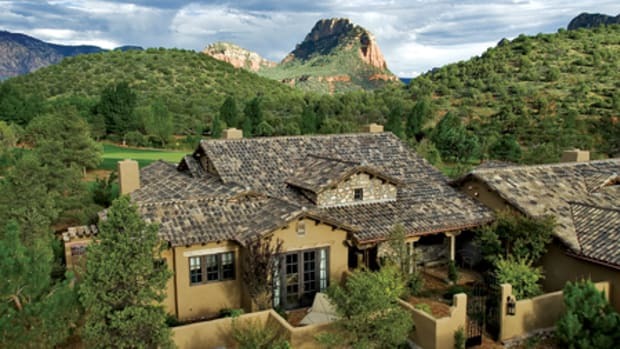 While Robertson says they enjoy a reputation as the nation’s largest provider of decorative and ornamental metalwork, for a good majority of customers they’re also a one-stop shop for basically everything needed for their projects. For example, he says they have prefabricated fence panels for both residential and commercial applications, and a line of access control and gate motors for security entrances and perimeters. 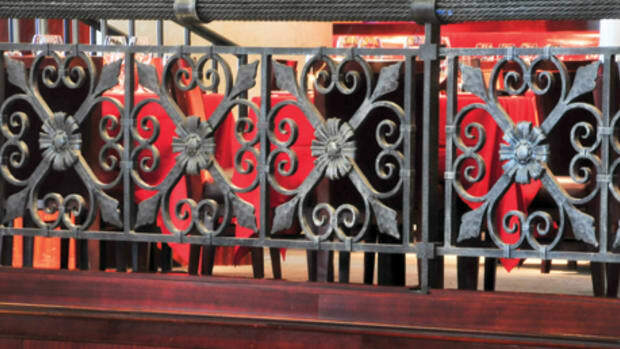 “We have a stainless steel line for really any kind of construction, as well as light construction commodity steel and molded, long-bar hand rails.” Balusters with different types of hammering or manipulations in their shapes are very popular, he says. Equally welcome is the company’s same-day shipping policy. 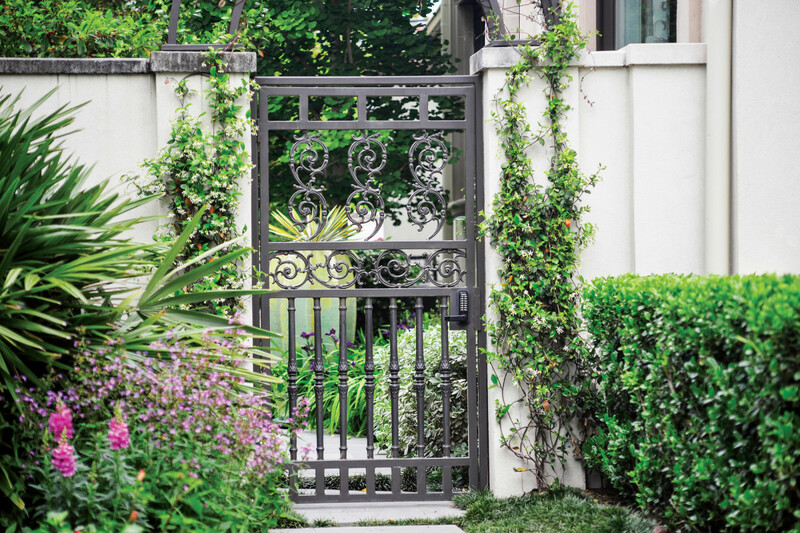 Regardless of fence construction, gates are almost invariably metal to provide strength for swinging and spanning the opening, security against intrusion, and an open showcase for ornament. There’s help on the dimensional level too in the form of the company’s Material Family Coding System. Here, materials of the same size and shape cross-section are identified by letters. 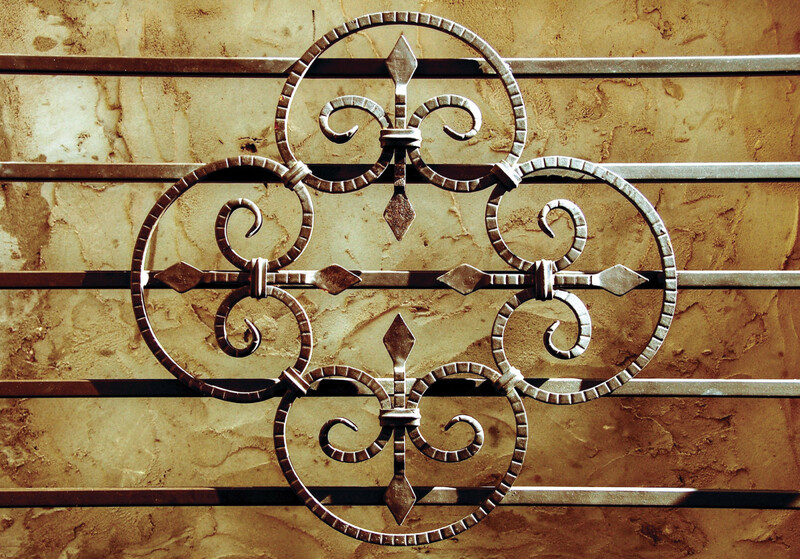 “For example, our ‘A Family’ is ½" square, and that’s the foundational structure of all of the balusters, rings, panels, scrolls—in other words, all of the foundational pieces are made from the same exact type of material.” The material itself may also be solid or tube, which is a consideration when weight is a factor. 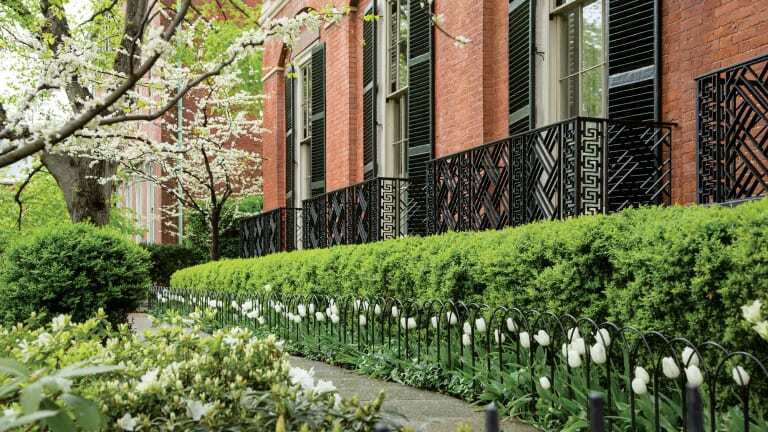 “Those rings, balusters and so forth made from the same size of material can then come in different sizes, height- and width-wise.” He adds that the customer can also choose a number of finials that will go with all of their lines. 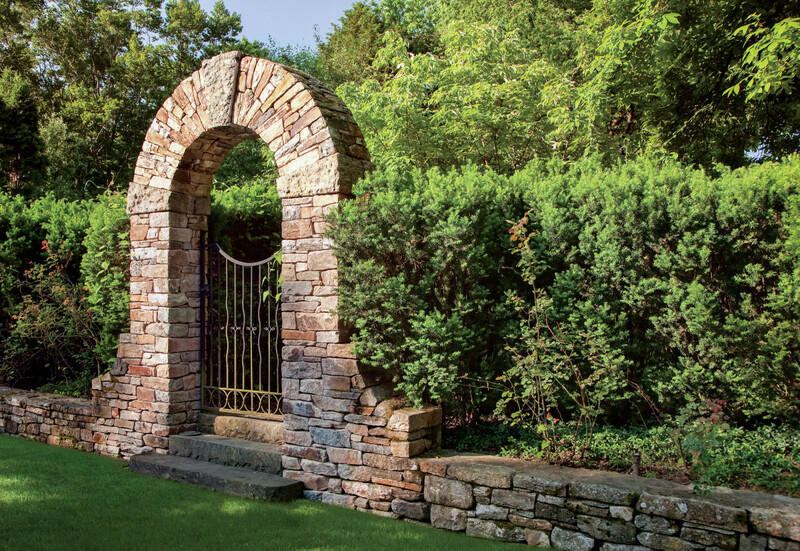 The austere, svelte design of this hand-forged gate, with its subtly undulating bars, circle motif at the bottom, and radius top, is an ideal complement to a massive arched gateway. 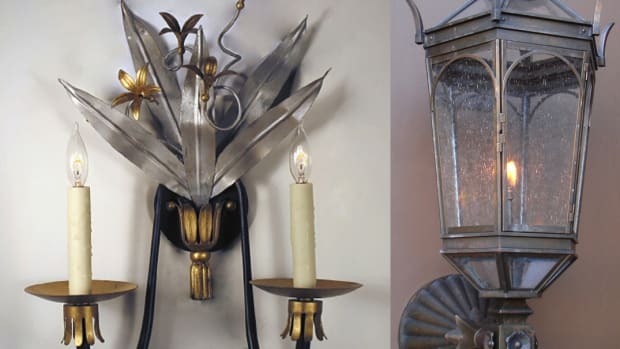 Knowledgeable suppliers explain that custom historic metalwork is worth the time and effort, and will stand the test of time. 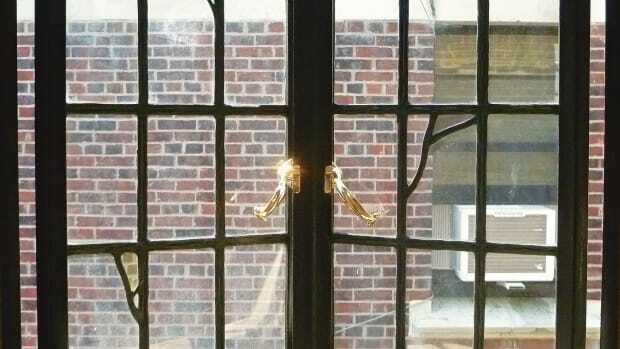 The historic metal window continues to deliver more glass with less maintenance, while adapting to the 21st century needs of historic sensitivity, thermal efficiency and environmental security. 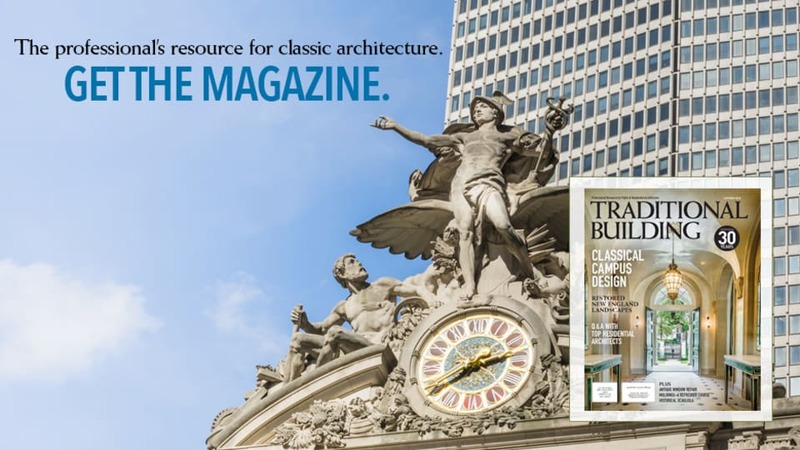 Traditional roofing materials continue to lead the pack when it comes to historic public buildings.